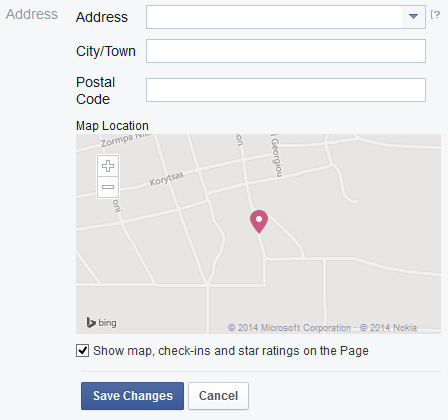 I am trying to set exact location on a Facebook Page I administrate. The address is located in the mountains and there is no address in a city near it. I tried several addresses but nothing seems to work. I read that it may take some time for Facebook to update the address so it makes it even harder to get it work. Can someone tell me if I can enter coordinates in the form? Can I drop a pin in a map to set it? Is there any other solution? The other solution is to go there with your mobile, and file new location using GPS. And optionally put few photos to speed up location application consideration. Since this post has gone up Facebook has now made it possible to drag and drop the pointer on the map to the exact location you want it in if you are doing it on a PC.